Usually, cross trainers provide a maximum weight of around 130kg (20 stone) which increases depending on the quality of the fitness equipment. If you’re looking for a cross trainer and you weigh over 20 stone, you may want to look for a machine which has a larger footprint of 140 cm long and 75 cm wide. This will help to ensure your workout is comfortable. One of the factors to consider before purchasing a cross trainer is the stride length of the machine. The stride length is the maximum distance between the back of your front foot and the front of your back foot as you workout which will affect the range of movement possible. If you are planning to use the machine for light walking, a shorter stride length is adequate, however, this could restrict your workout. Flight wheels are used for ensuring a stable and smooth workout.These are the heaviest part of a cross trainer and can be used as a way to identify the quality. Look for a crosstrainer with a weight of 10kg or bigger, if the wheel is large but not heavy, it may not provide the stable workout you’re looking for. The change in resistance affects how hard the workout is going to be. Increased tension will make it feel like you’re walking uphill or moving against a strong force which increases how hard your muscles are working. Cross trainers with a higher number of resistance levels will give a greater range of resistance. If you’re looking for a harder workout, you could look for a cross trainer with a higher range. Some cross trainers come with a heart monitor in the form of either hand sensor or wearable monitors. Hand sensors are the most common and they will take your pulse through the hand grips while you workout, but they are not always completely accurate. Wearable monitors can provide more accurate results, so if you’re looking to target heart training to assist fat burning and weight loss, go for a cross trainer with the latter. 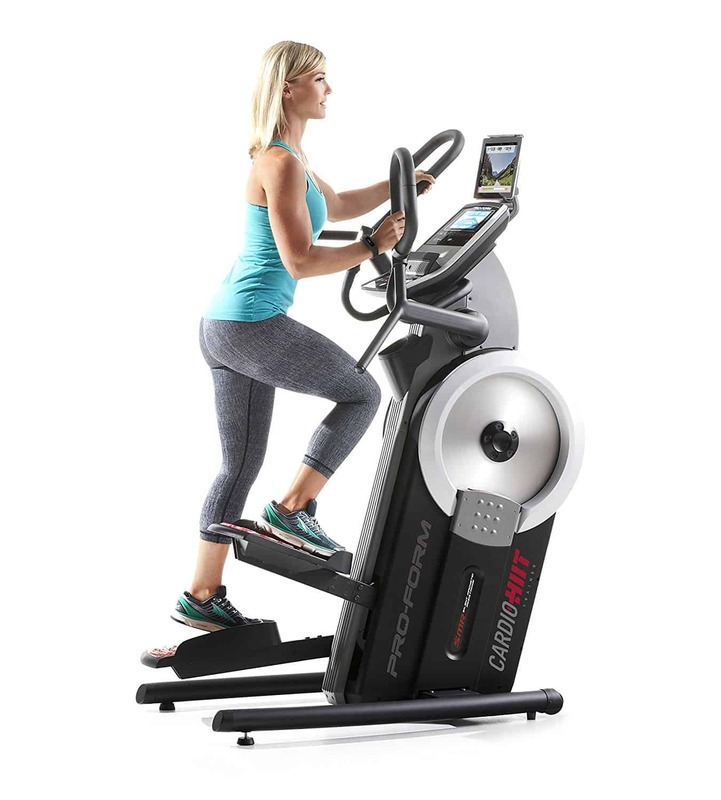 The cross trainer is usually found in the cardio section of the gym and it works by mimicking the same movement patterns that are experienced when walking, climbing stairs or running. You can get an entire body workout from using a cross trainer as well as burning more fat and calories quicker. It is specifically designed to tone various body parts with a fluid, low impact motion. Research suggests that cross trainers are prefered over some other fitness machines due to the acceleration of fat loss. It is comparable to using a treadmill but more muscles are used to workout. The amount of calories that are burned depends on certain factors such as age, gender and fitness. The pros of using a cross trainer for improving your fitness go beyond the weight loss results. This type of exercise equipment helps protect your joints as it is impact free, unlike running on a treadmill which is a high impact workout and can put a strain on the joints. Cross trainers also work to strengthen muscles and improve all round strength. If you’re looking to gain strength, you can increase the resistance level. By doing this, your body is forced to work harder to achieve the same speed which can improve your muscle strength. Smooth but steep elliptical footpath, resistant handlebars for boxing-like motion. The cross trainer has 24 tension levels and 32 preset programs. iFit connectivity and music speakers for impressive entertainment are featured on a 7″ display. Assembling this heavy machine isn’t easy so professional assembly could be expensive. Sleek black design with red accents, giving an overall modern and stylish appearance. Good stride length and smooth motion. Mains powered and a computer controlled resistance mechanism with an impressive 32 levels available means this cross trainer is suited to both beginners and athletes.The cross trainer is quite heavy at 47 kg, meaning it’s not that easy to move around. Multi-function on board computer and display as well as automatic resistance with 32 levels to choose from. The machine has a 14 kg flywheel which is very lightweight. This makes it smooth to use but not as sturdy as other machines. There are no entertainment features provided which may be a negative. Easy to use and set up, great for first time home owners and older people. Small enough to fit in most homes. The cross trainer has heart sensors in the handlebars which provide heart rate data alongside other useful readings. It is very lightweight with a 5.5 kg flywheel, meaning it is less sturdy that some other models. 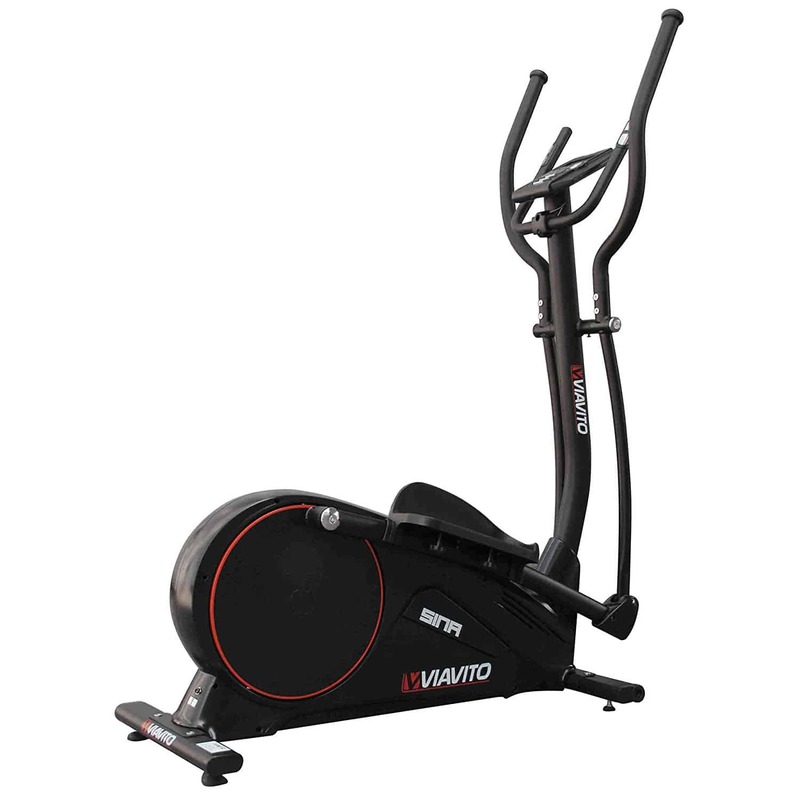 Great value cross trainer with a seat for addition comfort, this is a great option if you’re looking for a budget-friendly cross trainer/bike. 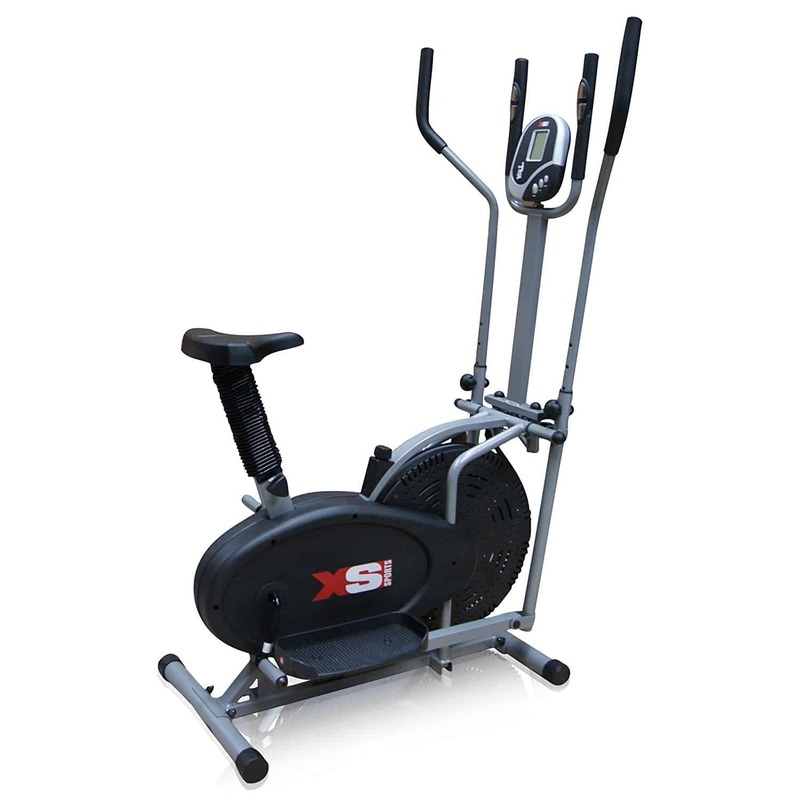 The cross trainer includes adjustable resistance levels as well as a backwards pedaling feature. The LED screen shows time, distance, speed and calorie count. There is also a pulse sensor built into the handlebars. This treadmill is definitely on the budget spectrum. All five cross trainers are different in appearance, features and design ranging from budget to high-end technology. After comparing all five, the best cross trainer for 2018 has got to be the Viavito Sina Elliptical Cross Trainer, this is due to it’s stylish, sleek and sturdy design. It’s also comes out on top because it’s easy to use and compatible for most users. The 32 levels of resistance available offer a varied workout and more flexibility. If you’re looking for an all-rounder cross trainer at a mid-range budget, the Viavito Sina Elliptical Cross Trainer is a clear winner! 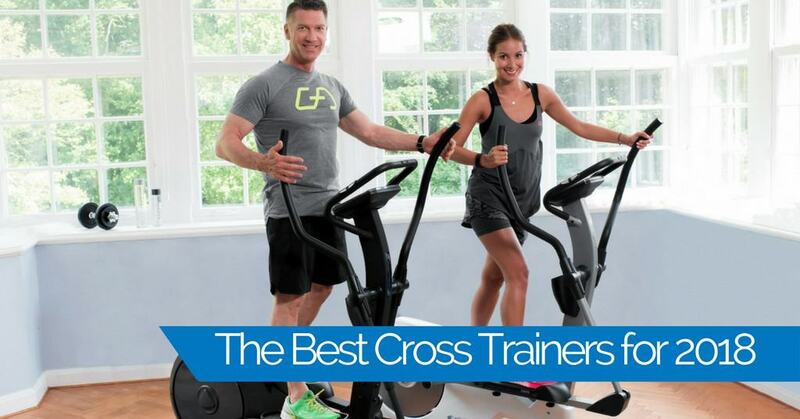 Why not compare this cross trainer to other cross trainer reviews?